Nutraliss Premium is a powerful, instant and easy to use multifunctional nanotechnology treatment. Nutraliss Premium is a powerful, instant and easy to use multifunctional nanotechnology treatment. Disciplines the threads, nourishes, moisturizes and rebuilds dry, brittle and damaged hair. 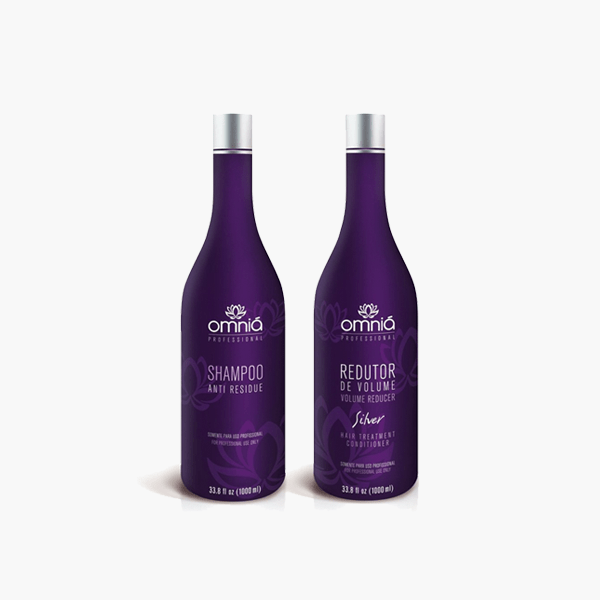 Reduces volume and strengthens hair fibers, restores shine with long-lasting anti-frizz effect. Contains extoncyllin composed of plant extracts, nutrient oils, sericin nanoparticles and urea. Reduces volume and strengthens hair fibers, restores shine with long-lasting anti-frizz effect. Wash the hair with the pre-treatment shampoo twice, leave on for 5 minutes and rinse well. Dry the hair completely. Apply the Nutraliss Anti-Volume and take off the excess. Let the product act for 20 to 30 minutes. Dry the hair with the cold air of the dryer. Use the flat iron for 5 to 7 times. Wash the hair and apply the conditioner. Dry the hair and finalize.